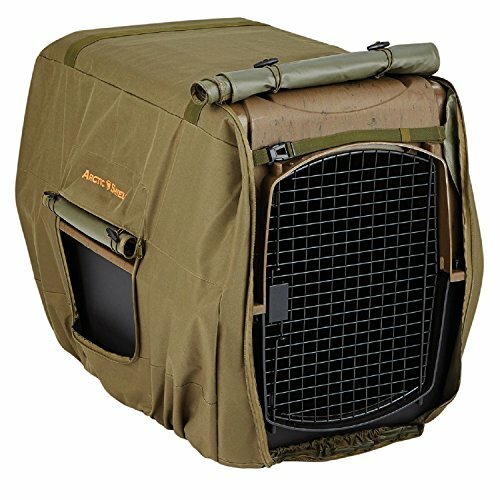 This Onyx Outdoor Winter Moss Kennel Cover is uninsulated cover that is built with rugged fabric, durable and weatherproof. (500D polyester with a PVC backing and a water resistant exterior) The open bottom design has adjustable web straps and elastic shockcord closure that secures the fit to minimize wind flap. Interior web strap is for additional fit improvement. The vented windows and door with toggle closures is for easier open/shut.